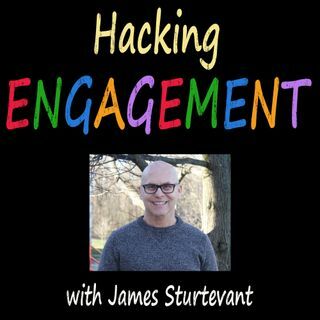 When I wrote Hacking Engagement, I was amazed that fifty hacks flowed out of my fingertips and compressed the keys of my laptop. Fifty seemed like a marathon, however, those hacks systematically materialized. When I typed the last period of the last sentence, I thought, Wow. that was a lot of hacks. I need a break. But here I am again...back with 50 more engagement hacks. Hacking Engagement Again is just like its predecessor Hacking Engagement: Both are short, containing a little over ... Más informaciones 30,000 words apiece. Both are comprised of fifty hacks that are each about 600 words in length. Neither is linear. Instead, they’re like cookbooks; you scan the table of contents and find what you need to make tomorrow’s lesson delicious.